Have you ever stopped to marvel at just how amazing it is that we live in a world filled with color? The beautiful bright reds of a rose or Indian paintbrush , the fresh greens of the forest trees and the soft blue of a wide open sky. Each stirs deep emotions in all of us. They beckon us to imagine and day dream. They fill the earth with its beauty and cause us to pause and think deeply. 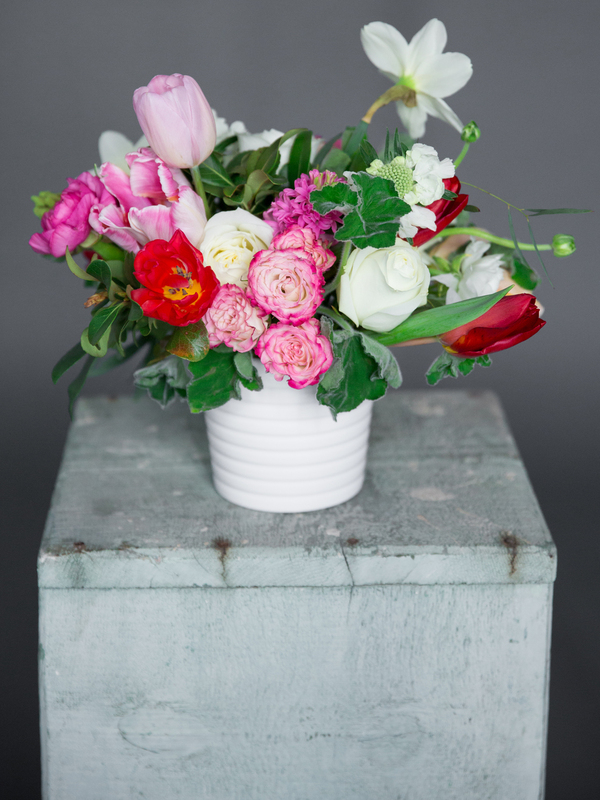 The gifted Leslie with Everly Alaine Florals creates some of the most beautiful floral arrangements. Her use of color is inspiring and touches the soul. Today we are pleased to share images of her lovely work and a little of her story with you. Heirloom: Do you have any morning rituals or things you do to get ready for a long day of designing florals? Leslie: I like to design while jamming out (and maybe a little dancing) to music, mainly Taylor Swift and anything upbeat! I love designing in natural light, so I open all the shutters and blinds to let plenty of sunshine in! Heirloom: How long have you been designing florals? Leslie: I started in February 2014. I loved that it allowed me to get in touch with my creative side and that it's both rewarding and challenging. Heirloom: Tell us about your journey into floral design? Leslie: I started by working for a local floral designer, then freelanced for floral designers around Dallas and the surrounding areas. I enjoyed learning different ways other designers would go about bringing a bride's vision to life. It's always good to know several different ways you can accomplish a task. Heirloom: What’s one thing you wish brides knew about the floral business? Leslie: It always costs more than you think! Those big, beautiful blooms you see on pinterest are not cheap! Plan to budget more for your flowers than you think you will need. I meet a lot of brides that say they can only spend "what is left of their budget after everything else is paid for." Flowers are important for beautiful pictures! Make your flowers a top priority so you are sure to get what you want. Heirloom: What’s one shoot/idea you’ve always wanted to create florals for but haven’t gotten to yet? Leslie: I would love to do a desert shoot! I grew up in New Mexico, so I appreciate the beauty of sand, fields of cactus, and golden grass.